XENOS, playing at the Bluma Appel Theatre this weekend, marks an ending for Akram Khan: it’s the last full-length solo piece that the acclaimed choreographer/dancer, who is 44, will perform himself. It also marks a first: the debut collaboration between Khan, born in England of Bangladeshi parents, and hot young Canadian writer Jordan Tannahill. The 65-minute piece treats the experience of colonial soldiers who served in the First World War; the title is the Greek word for foreigner. 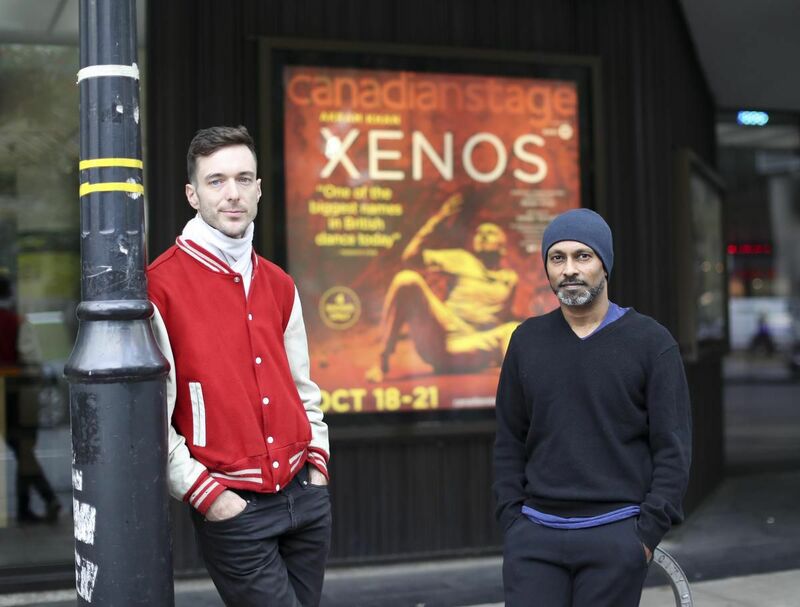 There’s a full-circle quality to XENOS appearing in the 2018-19 Canadian Stage season: it was the theatre’s former artistic director, Matthew Jocelyn, who introduced Khan and Tannahill. This extends a strong relationship that Jocelyn built with Khan: the latter’s shows DESH and TORO were featured in previous Canadian Stage seasons, and local audiences will also remember Khan’s Until the Lions, which played at the 2017 Luminato Festival. Jocelyn said he knew just the writer. Canadian Stage has been similarly supportive of Tannahill’s burgeoning career — his productions Declarations and Botticelli in the Fire and Sunday in Sodom, and the collaborative piece Concord Floral have all been produced or presented by the company in recent years. Little was defined creatively speaking when they started working together, other than that this would be a solo for Khan to premiere in Athens in February 2018. The Greek location prompted a conversation about the myth of Prometheus, who gave mankind fire but was sentenced by the gods to eternal torment as a result. When Khan’s company took on a commission from 14-18 NOW, a U.K. initiative to mark the centenary of the First World War, the war context entered the creative frame. Then the question became, says Tannahill, “how can we root this in Akram? Where is this narrative situated in him?” Fortuitously, an archive of recordings from sepoys — soldiers from India who fought for European armies — had just been opened up, along with letters they wrote back home from the front. “We dove into that as a kind of starting point for this Promethean journey of the colonial body within the war zone,” says Tannahill. Indeed, he says, every time he performs the show, the strength runs out of him, and this demonstration of “the failing body, the breaking body, the body as repository of physical and psychic pain” is at the heart of the show’s success, according to the Guardian’s dance critic Luke Jennings, who reviewed the show in June during its run at Sadler’s Wells theatre in London. XENOS plays at the Bluma Appel Theatre, 27 Front St. E., from October 18-21. Canadianstage.com and 416-368-3110.